At first glance at this website, you see a generic store where you can buy jewelry or accessories. Our mission is so much greater than this. What we set out to do at Crafted By Friends is to show how we as people of this world are interconnected. When you buy from us, you are allowing families in countries such as Madagascar and Brazil, to show off their product to a market that would not be available to them without Crafted By Friends. Not only this, but the income these people receive from Crafted by Friends helps them achieve their goals and benefit the community around them. Nilson totally supports himself and his family with his income from the sales. 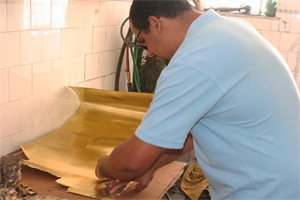 In addition, when he has enough orders, he employs local workers and thus contributes to the income of their families. His main goal is to support his daughter to attend college with his income. He has been saving to do this since I first met him. At this time, the economy in Brazil is challenging and he has told me how difficult it is to support his family. 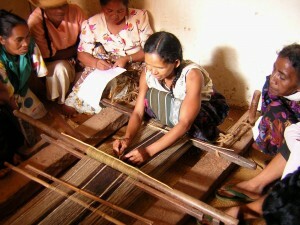 Of all the groups with whom we work, the women of Soatanana, Madagascar have seen the most changes. They have used the funds to purchase cattle and pigs which they use the offspring to barter with people in other villages for goods needed. Also, they are able to purchase more food and basic medications both of which have greatly improved their general health. Additionally, they have purchased better clothing and all children had clothes and shoes. Lastly have used some of the funds to send children to high school away from the village at a boarding school. In the future, they plan for some of these children to return and teach the younger children. One of the exciting accomplishments has been to build a basic structure used for the government nurse who visits periodically. Hopefully this building can also be used for the school.